To a person living today, no one gives travel a second thought. You can hop on a plane or train or into your own automobile and be hundreds of miles away in a blink of an eye. But back in medieval times, most people never left the small area of land where they were born. In fact, nearly all stayed within 20 miles of their home for their entire life. Movement across Feudums, the new 4X/Strategy game from 2 Pence Studio, will be just as hard as it was for the people that lived during those trying times. Movement across the Feudums landscape will be at the speed of foot (and hooves). A Lord’s armies will only travel at the speed of the slowest unit. 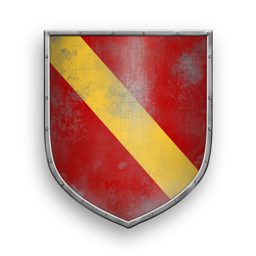 Calvary units of all types travel faster than any infantry unit can, and should be used for skirmishing, pillaging, raiding, or just to patrol along a long border. Lightly armored or fast horseback units might be an excellent choice to scout the frontier. For every task, there is an appropriate tool. And when you’re ready to march on the castles of your enemies, remember to scout ahead for the best invasion route. The first thing to remember, your troops will never recreate Hannibal’s march across the Alps. Mountain tiles remain off limits to units to move through. Mountains will form a natural defense that your army will either need to march around or find a pass through. Forests and wetlands also inhibit movement. In both cases, units move slower through the tile. Wetlands also are prohibited to any type of heavily armored unit as they would just sink in the marsh. You’ll also likely face larger attrition rates on the more challenging terrain types (like wetlands) if you’re in hostile lands. Large lakes or seas provide a different type of problem. Armies wanting to move across a large body of water can hire out a boat to take them but might experience severe attrition if a storm hits them while they are sailing. Remember the Spanish Armada? At home, a lord can build roads within his feudums which will allow travel a little faster between the main settlements. This speed improvement is much more important for trading, as most of these roads won’t make a big difference to a whole host of a wartime army - but can make local or distant trading a lot more efficient, not to mention easier for smaller patrols and guard units of a feudum to move around. But remember, roads are a double-edged sword. Keep in mind that if you can travel faster on them, so does your enemy.